HP SmartStream Designer is a simple and powerful variable data printing (VDP) tool that enables HP Indigo digital press owners to provide sophisticated high-value jobs and personalized campaigns. More than 2000 HP Indigo customers are using HP SmartStream Designer to harness the HP Indigo digital advantage for their business. 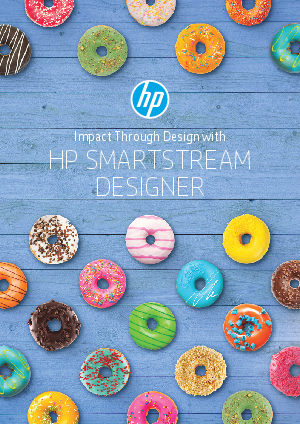 Learn how HP SmartStream Designer can help you create high-value, high impact applications and open new opportunities with HP Indigo.